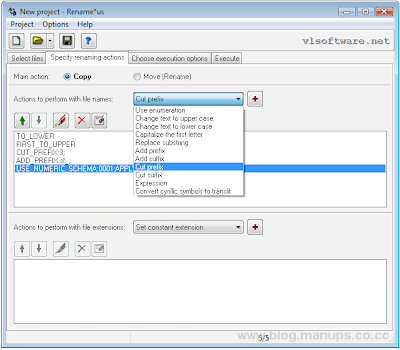 Rename Us is a file renaming utility that enables you to rename and move or copy a group of files. You can combine multiple rules to change case, add/remove a suffix or prefix, add incrementing counters, replace strings and other name modifications and preview the results in a test run without changing the actual file names. Your renaming rules can be saved so that they can be quickly applied at a later time.